Paris, Gare du Nord, a place where anything can happen and even trains pull in at all hours of the day. We'd like to linger, but have to get on our way... Like the thousands of lives that cross paths here, Ismaël, Mathilde, Sacha, and Joan encounter each other in the bustling crowds. Each day, Ismaël is stunned, fascinated, and exhausted by this place. He sees Mathilde for the first time on an RER platform. Little by little, they fall in love. They encounter Sacha and Joan. Sacha is looking for his daughter who has disappeared, while Joan spends her life in this station, passing through it on her way to Lille, London, and Paris. The station is like a bubble, where French, immigrants, emigrants, travelers and ghosts bump into each other and move on. It's a crossroads where each person passes quickly and then disappears. Claire SIMON (1955, UK) was born in London and grew up in the south of France. She studied Ethnology, Arabic and Berber. Refusing to - in her own words - "integrate in a film academy", she taught herself filmmaking. Simon gained experience as an editor and directed short films in a wholly independent way. 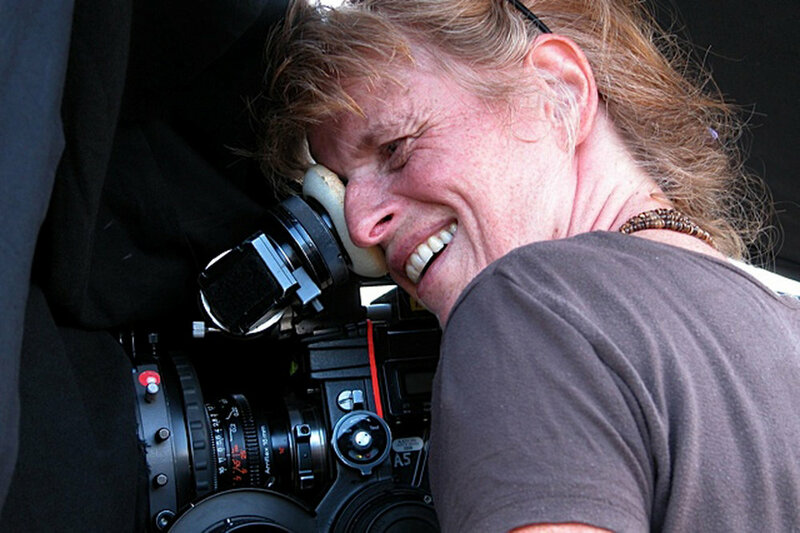 She specialised in direct cinema, made several documentaries, and in 1997, Simon made her first feature film. In 2014, IFFR screened Claire Simon's feature film Gare du Nord and her documentary Human Geography.